Patrick Griffin is a speech-language pathologist in Shirley, MA. Practice Type: • Self-Employed Practice Areas: • Speech Language Pathology • Fluency and fluency disorders Take the next step and contact Patrick Griffin for a consultation in Shirley, MA or to get more information. Remain Safe and Independent at Home! Stroke and Brain Injury Change Lives. So Do I.
Elizabeth Allen is a speech-language pathologist in Carlisle, MA. Practice Type: • Center Practice Areas: • Speech Language Pathology • Accent Modification • Articulation and Phonological Process Disorders Take the next step and contact Elizabeth Allen for a consultation in Carlisle, MA or to get more information. I am no longer in private practice. Thank you for your interest. The site does not let me know how to delete my profile. And furthermore I need to use up 300 characters here in order to save my changes. I'm not really sure how long 300 characters is...So, I'm continuing to type until it lets me save. 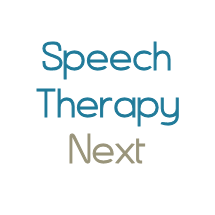 AK Speech provides comprehensive treatment for many issues including: Parkinson's disease, Accent reduction, Multiple sclerosis, COPD Strokes, Brain function Language / Articulation disorders. We offer voice, speech/language, swallowing and cognition services, including Interactive Metronome. Additionally, we offer brain training for better athletic performance. Speech Language Swallow is a speech language pathology private pratice located in Woburn Ma. We specialize in providing speech, language, cognitive and swallowing services to adults for a variety of conditions, including: stroke, brain injury, post concussive syndrome, Parkinson's disease, Multiple Sclerosis, ALS, Alzheimer's disease and other dementias, ADHD. Gretchen Curtis is a speech-language pathologist in Andover, MA. Practice Type: • Preschool Practice Areas: • Speech Language Pathology • Speech Therapy Take the next step and contact Gretchen Curtis for a consultation in Andover, MA or to get more information. Robert Dodaro is a speech-language pathologist in Hingham, MA. Practice Type: • Office Practice Areas: • Speech Language Pathology • Aphasia • Laryngectomy • Swallowing disorders • Voice Disorders Take the next step and contact Robert Dodaro for a consultation in Hingham, MA or to get more information.